Well, in the midst of all this big news with Michael’s health (could anything be bigger?) 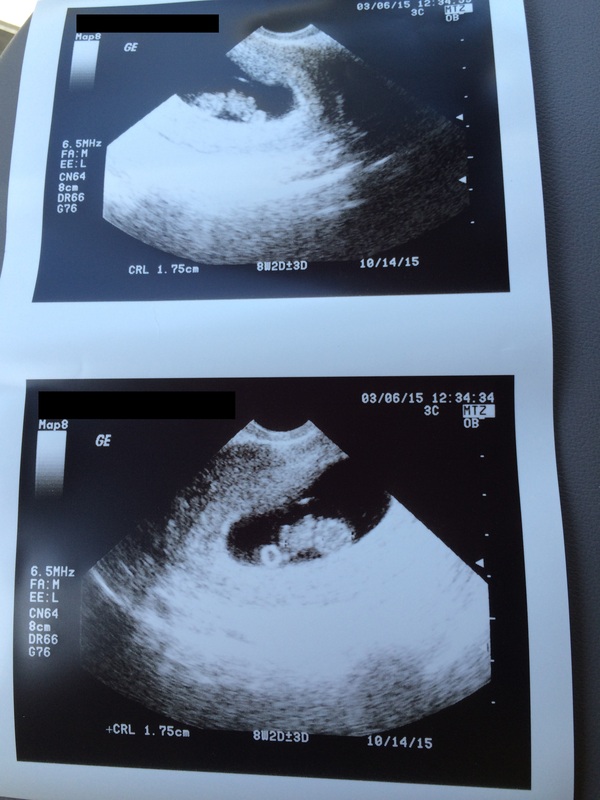 Mike and I received some great news. We’re expecting a baby! Our journey to get to this point in our marriage has been a long one. When Michael and I first began dating 13 years ago (when we were 17 and 18) we both wanted to have a family and have children. As I matured, went to college and had new experiences, I began feeling like children were something I didn’t want. I wanted to be able to travel, focus on myself and my interests and not have to put someone else’s needs first. I wanted to be selfish and I felt like I was doing the right thing by recognizing that and not bringing a child into the world. Mike continued to want children and hoped I would change my mind one day. After Mike’s first cancer treatment in 2001-2002, he began participating in survivorship clinics at City of Hope and did so until his second cancer diagnosis in 2013. They were great because it was essentially free healthcare for participating in studies analyzing his remission and recovery. One of these studies measured his sperm count; for a cancer survivor it was great, but for a regular person they weren’t good. We figured if we did ever decide to get pregnant, it would probably be difficult but not impossible. Fast forward to January 2015. When we were told that Mike would not be having a simple laprascopic surgery but would have to undergo chemotherapy treatment again, we knew that if we ever wanted to have children this may make things even more difficult, maybe even impossible if Mike did not survive treatment. Here is an article that discusses male fertility and cancer treatment. I had a difficult decision to make with no time to make it in. I was sitting in the doctor’s office after doctors told us Mike had to undergo chemotherapy again and I asked myself: was I OK with the possibility of never having Mike’s children? To my surprise, the answer immediately came: No. If there was anything I could do to avoid that fate, anything I could do to make Mike’s life happier for however much longer he has on this earth, I was going to do it. I realized that the biggest regrets in my life were the things I was too scared to do. I’m not one of those people that says I never regret things I’ve done (St. Patty’s day 2006 comes to mind), but the ones that stick out the most are the things I was too afraid to try because I thought I might fail. I didn’t want to look back in ten years and realize I never started this journey because I was too scared to try. We had approximately ten days between the day we received the news and the day he would need to start chemotherapy to try. I have never been good about keeping track of my cycle as it has always been regular, so I had no idea if I was ovulating or if this was the right time or what. It didn’t occur to me to buy one of those ovulation kits. We just tried. We figured if it works, then great. If not, at least we’ll know we tried. 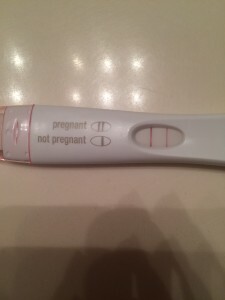 Two weeks later on Feb 6th I took an early predictor pregnancy test. Since I didn’t keep track of my cycle, I figured I was either a week late for my period or it should be arriving any day. To my surprise, the test was positive! Mike was ecstatic. I started researching local OBGYNs (I wasn’t in love with my current doctor and figured now was as good a time as any to switch). I know for many this would be considered the worst time to embark on this adventure. Sometimes I have wondered what I’ve gotten myself into! But Mike and I have come to terms with the fact that cancer may be a permanent part of our lives now. We can’t keep postponing our lives until Mike feels better or until the cancer is over… that may never happen. We have to do as much as we can now, everyday. At the end at least I can look back and say that I did everything I could, and if I can do that then I think I won’t have any regrets, no matter the outcome of Mike’s treatment. This pregnancy keeps us staying positive and gives us something happy to think about and look forward to. Mike is so excited about being a dad he can hardly stand it. Watching and feeling my body go through these pregnancy changes has been amazing and overwhelming. I’m constantly amazed at my body’s ability not only to grow this little person from nothing, with me not needing to do much other than try not to poison it (goodbye, alcohol and sushi!). It’s such a stark contrast to my husband, whose body has to fight every second of every day just to keep his one life going. It’s been a humbling experience and I can only imagine it will be more profound as the pregnancy progresses. 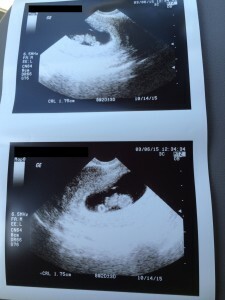 But we are looking forward to Oct 14th (my current due date) when we can meet our lil’ peanut!